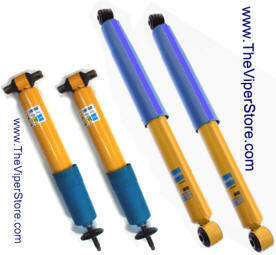 Heavy duty Bilstein shocks, super high quality. Set of 2 fronts. Fits RAM SRT10 with 2 or 4 door cab. Actual product may look somewhat differently. 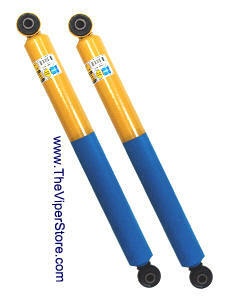 Heavy duty Bilstein shocks, super high quality. Set of 2 fronts and set of 2 Rears. 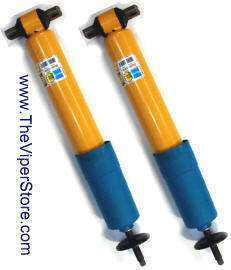 Two (2) Dodge Value-line stock Shock Absorber for the right or left Front of car. 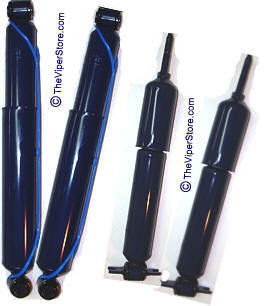 Complete set of Dodge Value-line stock Shock Absorbers. Two for the Front and two for the Rear. 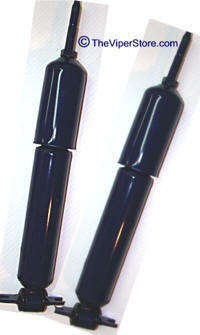 Get the factory shocks and save! 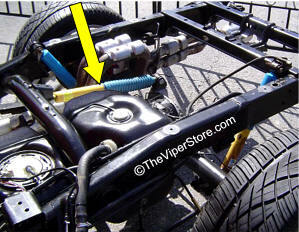 If you are replacing all four shocks do your Viper truck a favor and replace the rear damper as well. Rear axle damper or shock absorber determines the stiffness of your frame. Having a stronger new one can really make a difference in your handling. Direct replacement for factory part which is no longer made.. Exact fit. Bolt on replacement. Do you want more traction? Replace your worn out kicker shock with our billet kicker shock. Nitrogen charged for long life , cooler running. Traction will no longer be a problem. We did a ton of work on the kicker shock, these things are stiff, we really upped things here, you will notice on a stock truck or even one with traction bars, at say 60 mph and you go to tow you will feel a rock or the axle actually twist a small amount with the kicker , all that is gone, better traction and better acceleration. 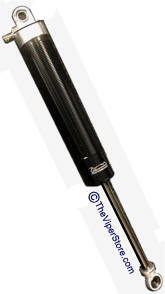 The kicker shocks are all billet construction, with solid joint ends for more feel and sturdy construction. The shocks are totally rebuildable, and each shock is custom built one at a time, not anything that is "off the shelf"
These are a single mono tube design, gas charged shock which is far more reliable and you get better quicker reaction from the shocks. This a performance strut that will not change 100miles down the road, the gas will stay cooler and keep its consistency, thus you end up with a shock that will last for years, not fade away in a few months. Stiffer for Maximum Traction and stability! 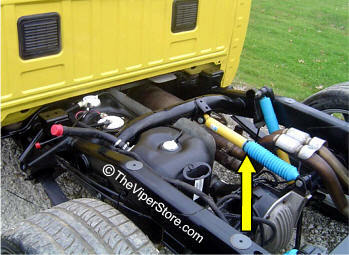 Direct replacement for factory Damper (Kicker) below.